After a long hiatus Monday Quick Sniffs are back in full power! Hope you enjoy reading them just as much as I enjoyed writing about these three below. 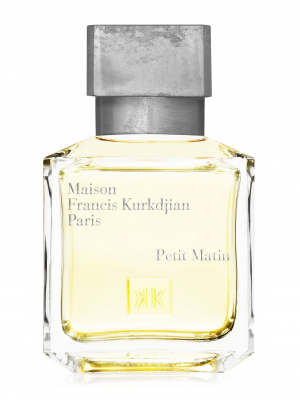 Petit Matin is ½ of the latest pair of fragrances by perfumer Francis Kurkdjian and his own Maison Francis Kurkdjian. This composition opens with a brisk & juicy lemon note that at first is more sweet (and a bit chilly) but within few minutes it warms up and turns a bit more acidic. Then the scent becomes more floral but still in a citrusy manner thanks to verbena and orange blossom. It’s a nice smell but there is something in the background that disturbs me. It could be a musk that combined with lemon gives me this weird, talcum-like feeling. This part is definitely less pleasant to me. Later Petit Matin releases a gentle dose of lavender from Provence. It introduces an aromatic quality to the composition as soon as it starts to effuse its aroma. This lavender note turns more herbal, it even has some green elements if you ask me. However it also has a small part that is floral. Breakdown of the notes in this new MFK also mentions hawthorn note but I have no clue how it could smell. On the other hand drydown is warm and light. It has a hint of rather transparent amber and musk that smells like a cotton sheet to me. It’s an OK perfume. It just didn’t win my heart. 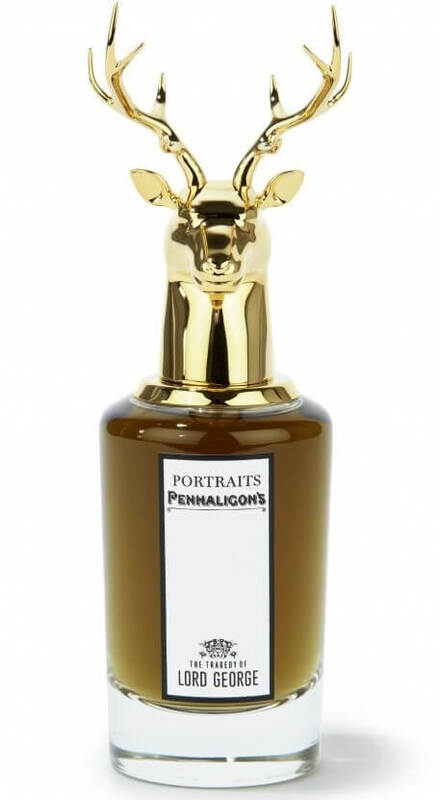 Some time ago Penhaligon’s has launched Portraits Collection consisting of 4 fragrances, each of them focuses on one persona from the British aristocracy. One of them is dedicated to Lord George – described as wealthy and respected man, the archetypal patriarch. He seems to embody the noblest values of the aristocracy: virtue, respect, loyalty and faithfulness. The Tragedy of Lord George right from the start opens with a rich and alcoholic smell of brandy. It smells slightly sweet and resinous, with elements of smoke. Then tonka bean joins the composition. Instead of being creamy it smells more like a roasted nuts, with a slightly burning aroma to them. Then there is a hefty dose of woody notes. Their raw and rough character instantly brings to my mind the idea of big wooden barrels with various alcohols that are stored in some dark cellar to mature. There is also plenty of amber in this perfume. It’s more balmy but also has some rum-like sweetness to it. Looking at the perfume presentation definitely will make you notice a cap in a shape of deer head. The scent itself isn’t bad, it just lacks a little bit or originality as there are other perfumes of smoke and alcoholic beverages that smell better than this one. Yet I encourage you to try it, it’s good for current season. L’Artisan Parfumeur and I have a very bumpy relationship. As much as I tried to love fragrances from this brand, I never succeeded to fall for it beyond Safran Troublant and Iris Pallida. 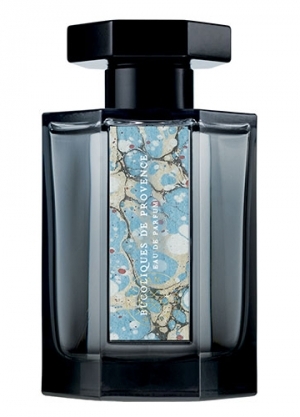 My hope returned with the announcement of Bucoliques de Provence release. On my skin this perfume opens with an incredibly floral lavender. It rarely happens with lavender to smell this much floral but there you have it. Thousands of tiny purple flowers. One moment it event started veering towards violet accord. Then leather joins the composition and unfortunately at this point the perfume was lost to me. My skin muted the note to turn it very plasticky, artificial, smelling almost like a varnish. Even though it softened after some time I still couldn’t get rid of that impression. After some time iris comes to the rescue. It adds a sheer velvety touch at first but then it evolves into powdery glamour that lasts for a while. Finale is even a bit buttery. If it wasn’t for my weird reaction to leather in Bucoliques de Provence, I would probably consider buying this perfume. Not to mention that I really like the bottle design and a label of this scent. Really enjoy reading your take on more mainstream frags! Luuuurve the stag’s head – but not such a fan of the juice inside the bottle. Glad you liked it Jillie. Thanks for the great review on Bucolics de Provence. I had been looking forward to this one and it sounds like the leather note is problematic..
Petit Matin hasn’t conquered my heart either, although I very much like Grand Soir, and Bucoliques de Provence turns a little bit skanky on my skin. Haven’t tried yet the Penhaligon’s one. Thanks, always a pleasure reading your posts! I’m not alone! I also enjoy Grand Soir a lot. This one will be getting its own review. Oh, so you also had some trouble with Bucoliques. Intereting. Monday! Quick! Sniffs! Love the mini reviews. I haven’t spent enough time yet on Petit Matin to form a no go opinion. The tragedy of Lord George smelled good on paper and I managed to sang a sample from the Penhaligon’s boutique at Rockefeller Center during Sniffapalooza. As to the L’Artisan, wow, what a gorgeous bottle! I have to make it a point to seek it out the next time I’m at Barneys (and perhaps now is the time to confess that the only reason I would walk up to Barneys is so I can visit the Hermes boutique on Madison to check out a bangle). Hope you had a lot of fun at Sniffapalooza. The L’Artisan is a limited edition and I’m not sure if you can get it somewhere else than their boutique and online shop. The Bottle is gorgeous, I agree! Hurray for MQS! Thank you for reviewing these – I had mild interest in the L’Artisan and Petit Matin.Now I think I’ll skip both. I’m really looking forward to your review of Grand Soir! I’m happy you like them and that I could help you in making decision if it’s worth to test some of those.